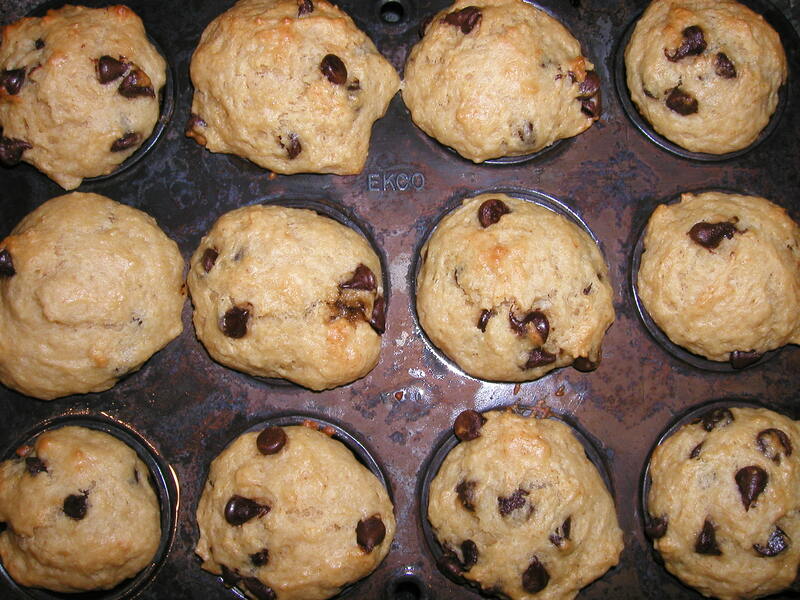 You are currently browsing the tag archive for the ‘Banana Chocolate Chip Muffins’ tag. Breakfast is done, the kitchen is clean and our guests are off on their adventures. I am sitting at the computer watching the boats scattered from Crofton to Chemanus as they wend their way along on the calm sea. Four of the eighteen boats are sailboats but none have their sails up. It is a beautiful summer day with a slight breeze, bright sunshine and robin egg blue skies with whisps of white clouds. 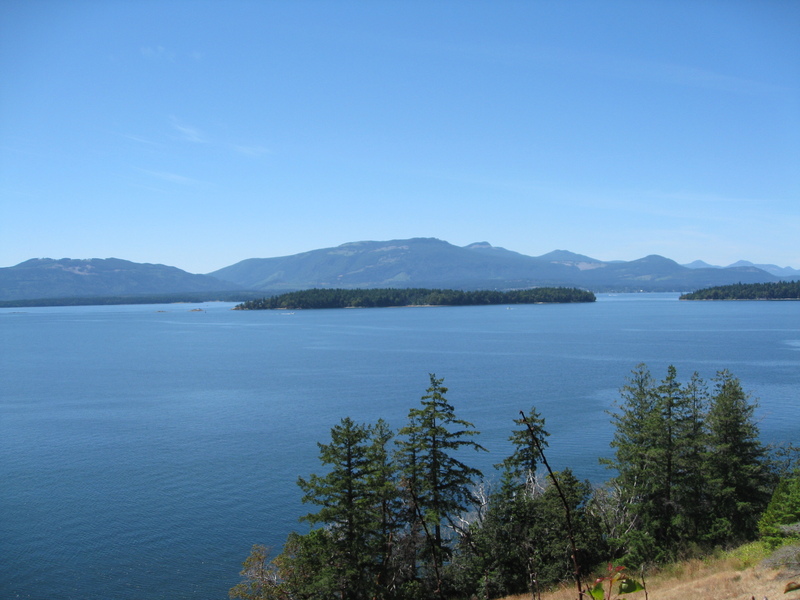 It doesn’t get any better than this for a summer morning on Salt Spring Island. Today we have a guest who requires a Gluten Free breakfast. The easiest way to avoid any cross-contamination with wheat, oats, rye or barley is to prepare her meal first before starting on the others. In many instances we find it safer to purchase some premade products for some diet restrictions. This has been made relatively easy now as the local supermarkets carry many products that suit a variety of special diet needs. Still there are many others that we still prefer to prepare ourselves. At the market we found Rice Cereal, Raisin Bread, Rice Tortillas and Rice Bagels so we will be using these over the next couple of breakfasts. View from the front deck now. This morning we served Orange Juice, Breakfast Pear Melba for the cereal course, Chocolate Chip Banana Muffins and Peanut Butter Tea Biscuits in the bread basket, Salmons Scrambled Wrap for the main entree, and a fruit plate of quartered Apricots, Red Seedless Grapes and sliced green Kiwi along with copious amounts of coffee. Banana Chocolate Chip Muffins fresh from the oven! We were told by our guests that we were being given a ’standing ovation’ while they remained seated! 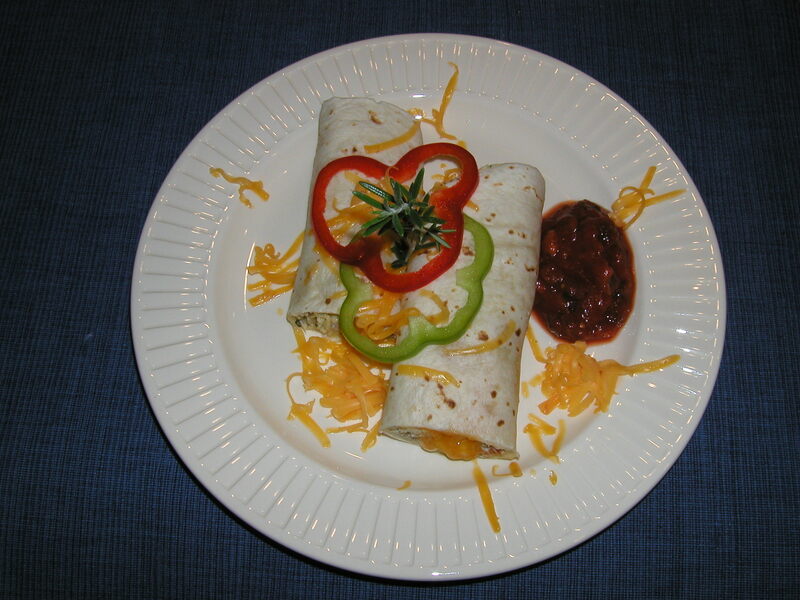 TIP: When cooking for a special diet where cross contamination could be an issue consider preparing the special diet first and cooking their meal on parchment paper. This avoids contamination from a pan, grill or griddle.